Make learning a language fun by studying German with your family or small group of friends. Group German classes are an excellent way to learn a new language. If you have a group of friends, fellow students or even colleagues who all want to learn to speak German then why not participate in tailored group training to help you learn the language with like-minded people. Support each other along your journey and practice your skills in the classroom and during social gatherings. The German tutor that will lead the group sessions will be highly qualified and experienced in the delivery of group tuition and they will tailor the syllabus and learning outcomes to suit your specific style of learning and requirements. 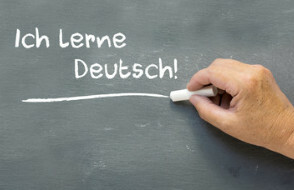 Whether you are in a group who need to learn for work, study or you are visiting a German speaking country with a group of friends on an extended period of travel, learning German can bring multiple benefits. Increase your confidence, expand your vocabulary and develop your skills.